Decisions, decisions. 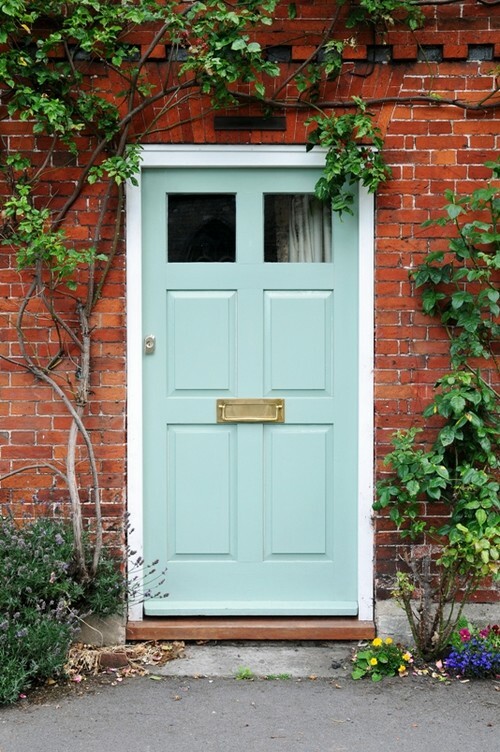 For your front door, do you go for classic black or shocking pink, calming blue or stately green? 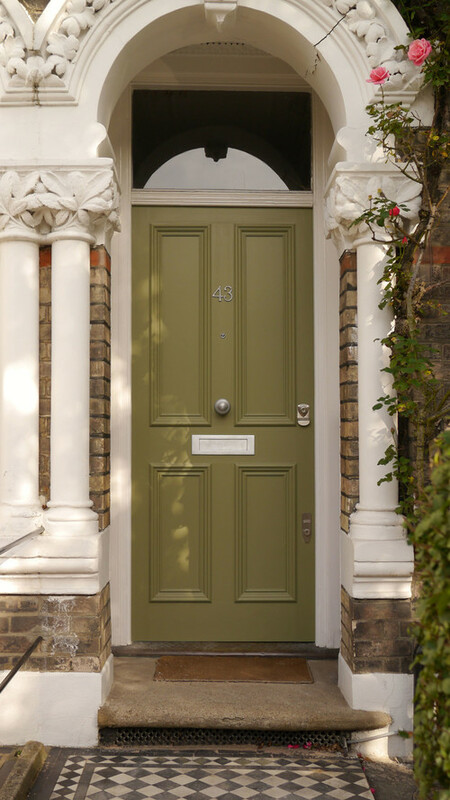 For inspiration on how to make your front door the star of the street, check out the choices below. Think pink. 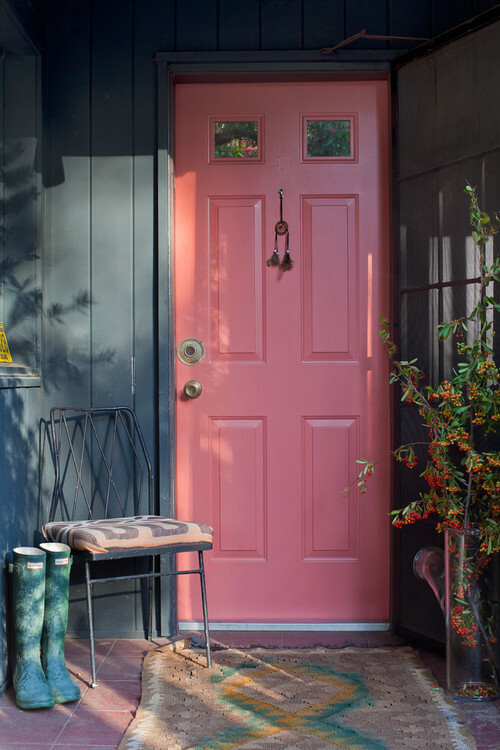 Get the neighbors talking with an unusual (but lovely) shade of pink. Not shocking but not shy and retiring either, this salmon shade works particularly well with the surrounding painted gray woodwork. Make a match. 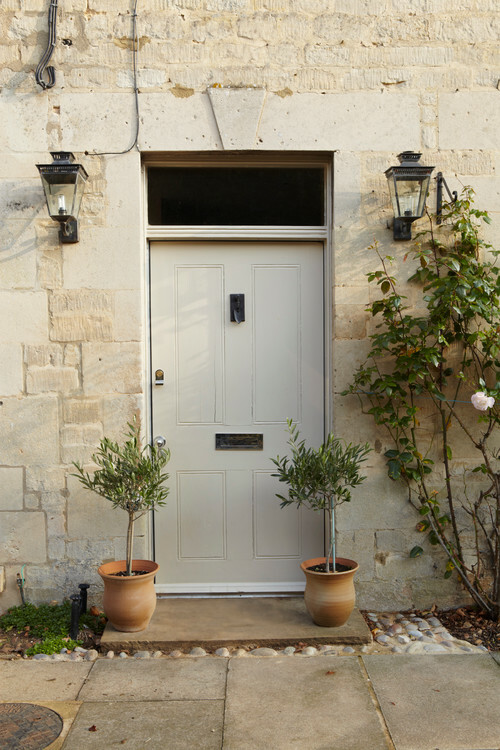 A more mellow hello is offered by this pale door, which perfectly matches the gentle tone of the stone walls. And it proves that you don’t need to shout to get noticed. Mini olive trees in terra-cotta pots on either side of the door break up the color block and add to the rustic feel. Go back to black. 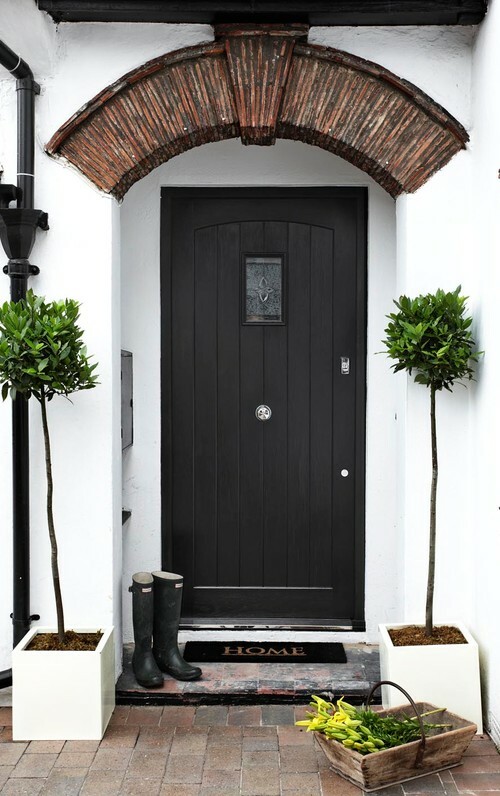 It’s hardly the wildest front-door option, but black remains incredibly popular for a reason. It looks super smart, it never goes out of style, and it suits all types of houses. But to make sure it’s chic instead of bleak, add some potted topiary, chrome or brass elements, and make sure that the rest of the paintwork is crisp and bright. Job done. Join the navy. A deep indigo is a bright alternative to black or gray, and it’s different enough to turn heads. The owners of this house went for a matte finish to give their period cottage a modern edge. Transform with yellow. There’s no number on the door, and why would there need to be? 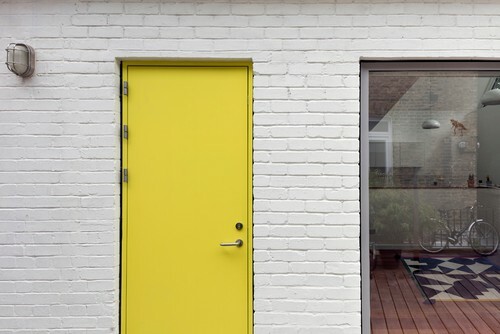 The owner simply has to tell everyone, “You can’t miss it — it’s the house with the yellow door.” The painted white brickwork and gray-framed windows add to the standout modern look. Go green. To ensure there’s no color clash with the greenery in your front yard, you could opt for a soft woodland green like this one for the door. Rock the red look. 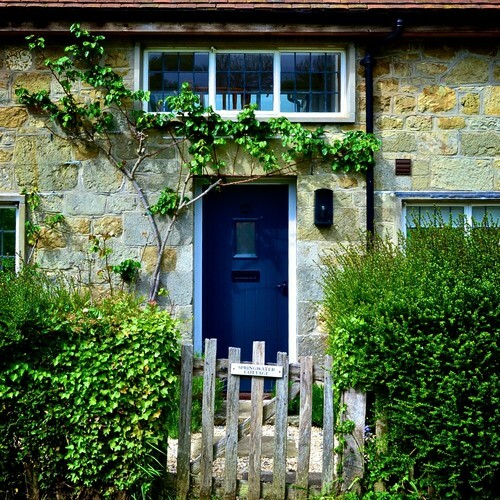 Matching the style of the front door to the style of the house is important. 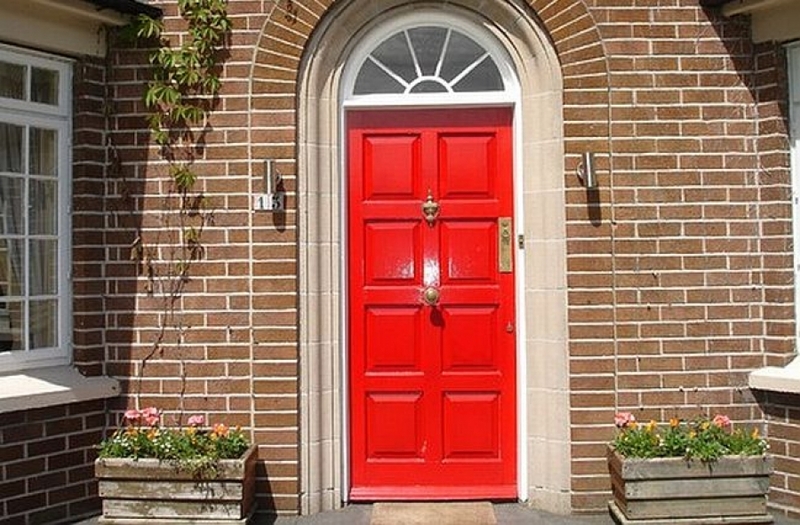 A bright red door might seem a bit out-there for a traditional home, but not if it has a classic paneled design and traditional brassware that tones down the shade. Be bold. In the “notice me” department, a vibrant shade of orange is hard to beat. And if you ever get tired of it, a whole new look is just a paint can away. Meet halfway. Want a color that’s cheerful but you can’t see yourself embracing an ultra-bright shade? For a softer approach, this duck-egg blue could be just right – and it works just as well against a white exterior as it does with this red brick. Spread the love. 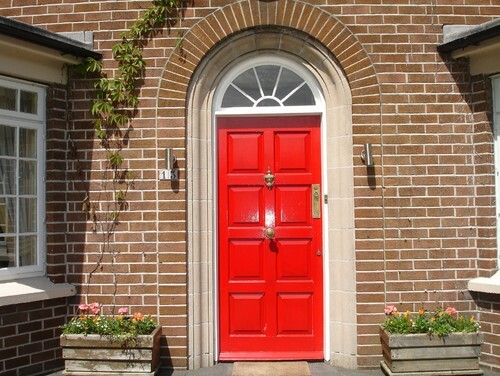 If you love the color you’ve chosen for your front door, why not use it on the window frames too? 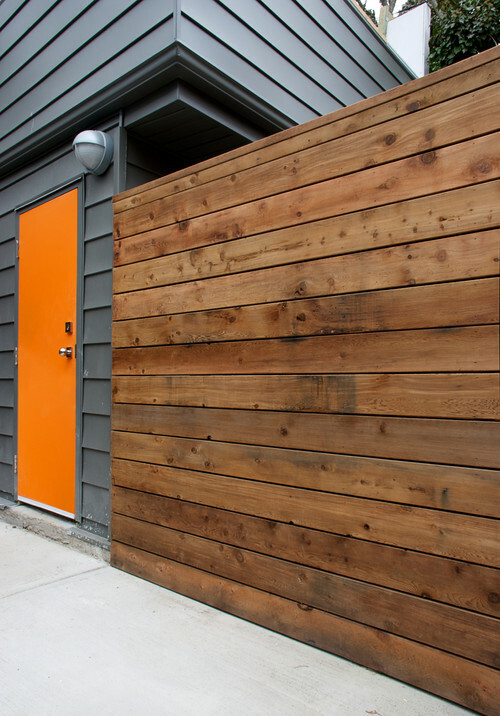 Of course, if you’ve gone for orange (see above) it’s probably best to use it just on the door. 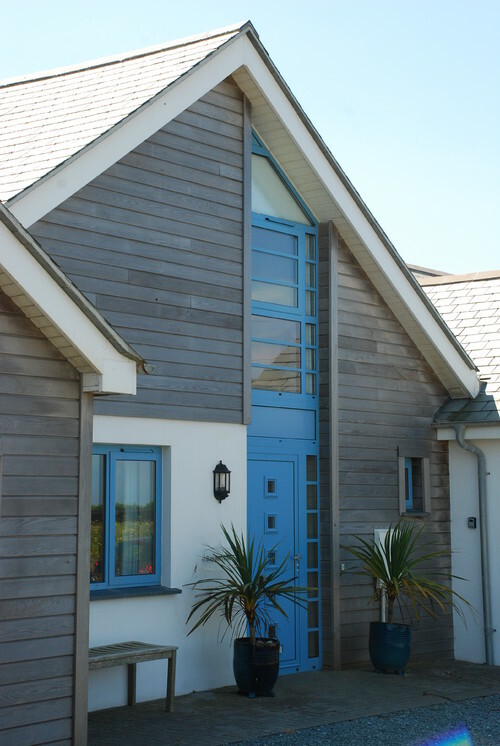 The bright blue here, however, suits the coastal feel of the house and works well with the gray siding and white wall.